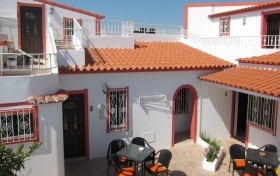 Search Rent Holiday Villas, Apartment Hotel Albufeira Algarve Portugal. Check out our latest special offers, promotions and discounts for activities, transfer and properties in algarve. Go travel to portugal with PortugalGo. Overall very good, some minor complaints. Nothing can ever be perfect, but as a family we all agreed this was perhaps one of the best villas and location we have stayed in. 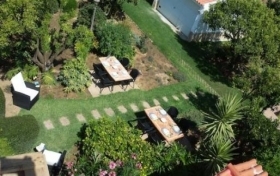 I would recommend it and not if but when we return to Portugal I will be seeking to stay at the same villa. Lastly Paula at the local office was a real help! Thank you for a great stay. Cannot recommend this company enough, excellent service from start to finish, and already booked next 2 trips. the situation. near the beach. supermarket. Thank you for a great holiday. The accommodation was first class with a great location. The grounds were superb and the pool was great. The service was superb from all staff. my two young children, husband tobe and myself stayed at casa de horta in march for 10 nights. we booked direct with company and got good last minute discounts and free transfers from airport. they accommodated our children with cots, highchairs, microwave etc. everything we asks for was no trouble. the place lived up to its glossy pics on the website. all the staff were excellent. the accommodation was clean, large and well maintained inside and out. it was great to be able to pick fresh oranges and lemons each morning with the children and make our own juice and smoothies. the area was charming, true portugal... no posh hotels or bright lights, but lovely walks and fantastic views. nearest beaches were between 15- 30 mins walk, local shops and resturants were lovely. we didn't get a car in the end, we either walked or got taxi, this was fine for us as we love walking however if you dont like walking then i would recommend a car. overall we had a perfect holiday and we will be returning in sept 2008. My family and I have now stayed at Villa Tenazhina III for 2 years running and hope to stay again in the future having enjoyed our experiences so much. 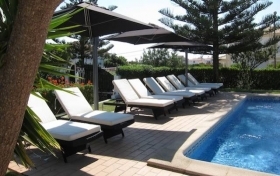 We have had two lovely relaxing holidays lounging by the pool by day and enjoying bbq\'s in the evening. The local shops/restaurants are a leisurely 15 minute walk, and there are many places to visit within a short drive from the villa. The staff at Portugal Go give a first rate service and are always happy to help. We have just returned from the most fantastic week at Acoteias No reason to be dissapointed throughout the whole week. We visited some lovely restaurants close by and enjoyed exploring the local surroundings. would highly recommend it and would love to return.